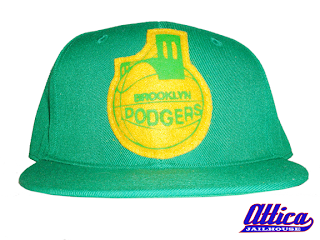 The Brooklyn Dodgers were an American basketball team based in Brooklyn, New York that was a member of the Eastern Basketball Association. 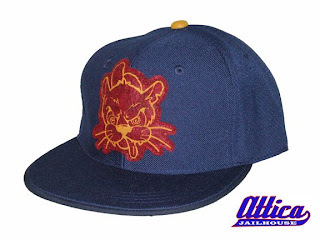 Logo is hand screend and sewn felt. 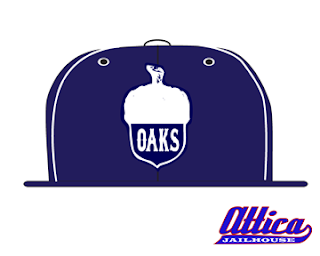 Logo is hand screened,cut,and sewn. 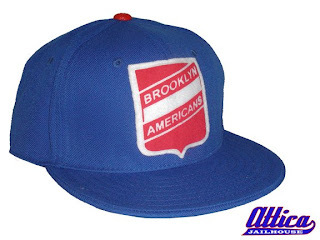 The New York Americans team's name for the 1941-42 NHL season changed to the Brooklyn Americans. Dutton ( owner) had every intent on moving the team to Brooklyn, but due to a lack of a decent arena, the Brooklyn Americans continued to play their home games in Manhattan at Madison Square Garden while practicing in Brooklyn. They barely survived the season, finishing with a record of 16-29-3. After the season, the Amerks suspended operations for the war's duration. However, in 1946, the NHL reneged on promises to reinstate the Americans and canceled the franchise. Although Dutton had every intention of returning the Americans to the ice after World War II, NHL records list the Americans as having "retired" from the league in 1942.